If ever there was an outfit that proved I like bold colour, I think this is it. 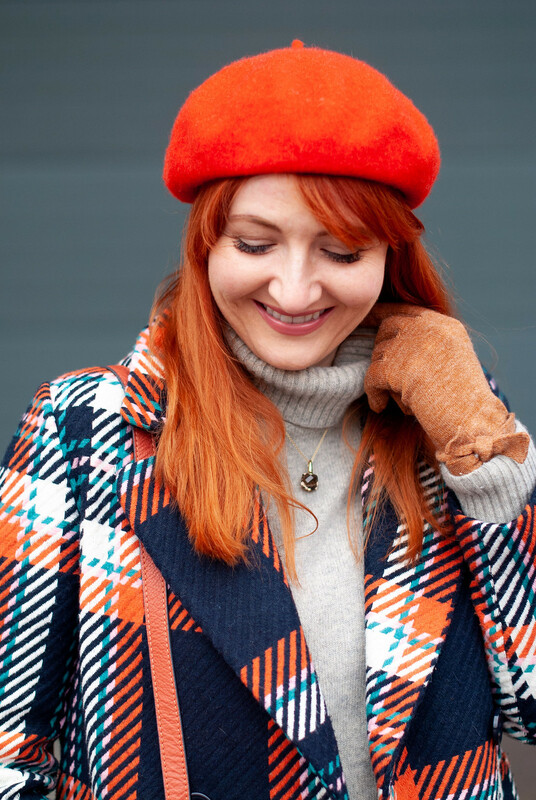 I wore this predominantly orange outfit at the weekend while Keith and I did a bit of grocery, DIY and homewares shopping, and we ended up rather embarrassingly doing – and being – All The Orange Things. As if my orange obsession wasn’t bad enough, I realised the Instagram Husband was also wearing his new bright orange parka (he’s NEVER worn orange before so I think it’s rubbed off on him). And we found ourselves looking at saturated orange paint swatches as I’m going to give our living room’s nest of tables a lick of paint for our mid-century modern interior. What with my orange hair AND the fact that we were in a well-known British DIY store whose logo is bright orange and then we went home to our orange cushions and orange throws… OMG SOMEBODY HELP ME!! I think it’s safe to say I like styling bold colour. Am I going to be one of those bloggers whose Instagram feed is all one colour and highly curated? I hope not (read as “No”), but then if this orange infatuation is anything to go by, I may start to unintentionally over-tango your Instagram feed if you follow me…!! 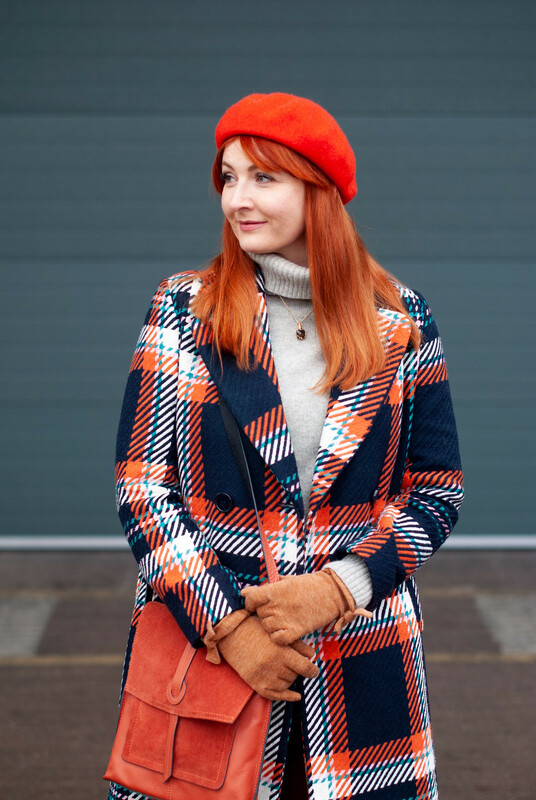 So let’s talk about the actual outfit itself: I’ve been wearing this check coat a lot since I got it last year – as you can probably imagine it goes with most of my wardrobe due to the, ahem, orange (and pink!) part of the check. 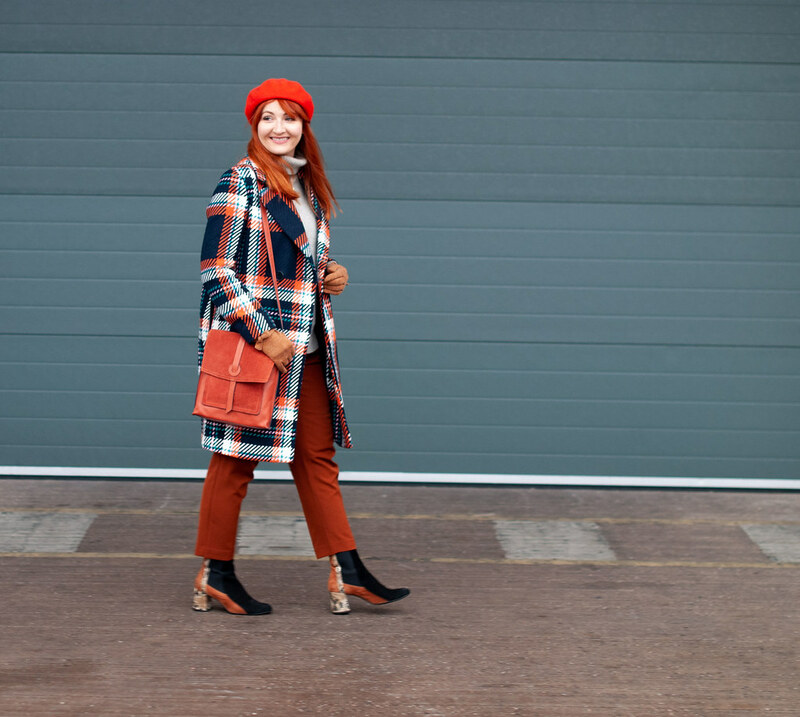 The terracotta trousers are a newish purchase (I’ve been buying all the peg leg styles as they’re my favourite and so comfy to wear) and the bright orange beret was bought last year as part of Operation Buy All The Berets. I say if you have a favourite colour then damn well go all out and wear it and put it in your home as much as possible. Then I can say, Orange you glad you did that…?? Love everything you’re wearing Catherine. I wear it frequently to lift my spirit during the grey and wet Seattle winter. When I was a child in elementary school so many years ago, I gravitated towards orange. Maybe I instinctively knew it was a color that makes me happy and looks good with my warm-toned skin and hair. Now to find ways to use orange as an accent color in my home. Wow Catherine! 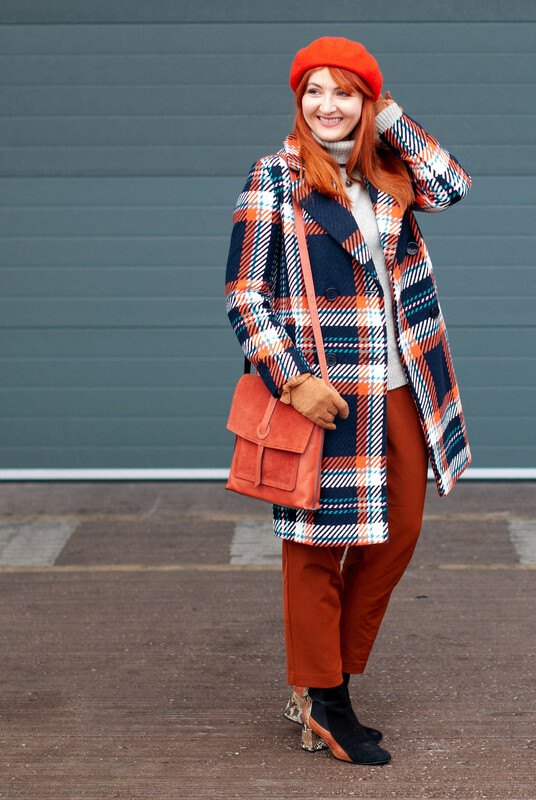 There is just so much to love here – from the pattern mixing to my favorite color as well ORANGE! I love your boots and bag…I was just debating with myself over an orange bag is saw recently…get the brown or black my style conscience was nagging…now I need to rethink! I mean really, how many black bags to I need in my life! Oh and your coat is amazing! Happy Saturday! You have the best collection of plaids. I ADORE this coat and the colors in it. What a great statement piece. I love orange too! Thank you Lisa – yes I will admit I DO have a lot of check coats…!!!!! Orange is a good friend to you… the kind you can phone at 2am and they’ll be there! I love this lively outfit. That is such a beautiful, quality coat! That is your colour it suits you so well. Do you think we are unconsciously wearing the colours that suit us without thinking – the colours that we are attracted to? I know in the last couple of months I have learnt a little bit about myself in the fact that there is a theme to my colour coordination. I may need to be more adventurous – just to see where it goes. The coat was a wonderful find! You and Insta hubby must have had so much fun dousing yourselves in orange! Hmm, that’s a good question, I’m not sure what my favorite color is, how could that be? I do have a *lot* of rust/orange, maybe that’s a contender! Haha it was a BIT ridiculous when I realised we were both oranged up to the nines, Kimberly…!! Thank you, and it sounds like you’re with me in the orange camp maybe?? I love every part of this outfit, and then, THE BOOTS – OMG! 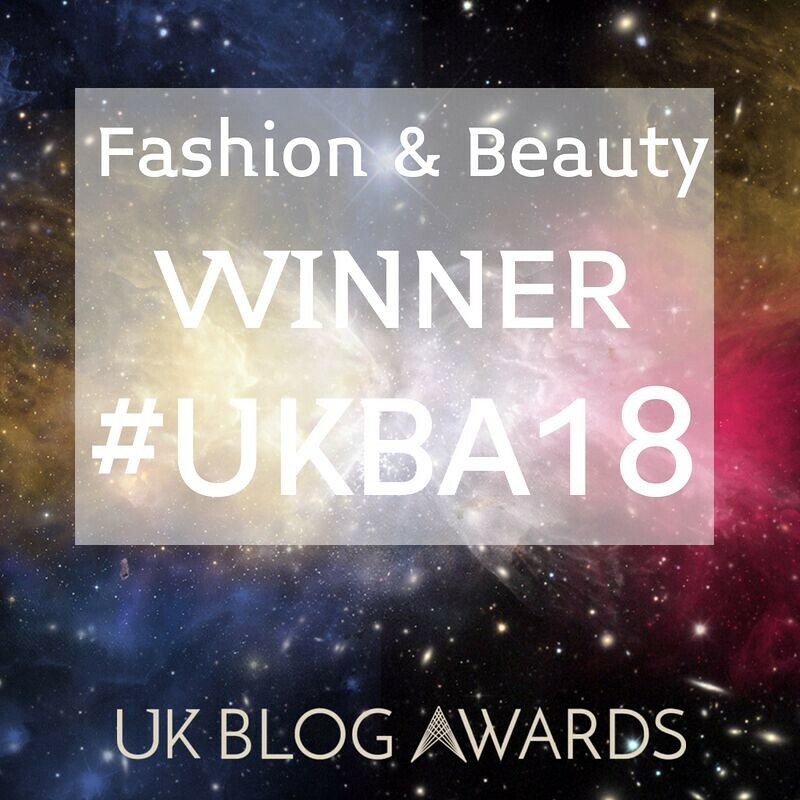 I think I might wear them with all black, just to SHOW THEM OFF – swoon! You’ve definately got a thing going with organge, and it definately LOVES YOU BACK, so keep workin it, girl…. I agree with Lisa this coat of yours is one of my all time favorites. I also love your beret, actually speaking of bright berets I’m looking for a yellow one at the moment. No doubt your affinity with brights has rubbed off on me too! So much to love here – the color, the textures, the print! Such a feast for the eyes. That coat is such a statement piece and you wear it so well! Oh my word, Catherine, this coat is brilliant! This might be one of my favorite outfits ever of yours. The bold colors suit you perfectly! Love, love, love! There’s no such thing as too much color…orange is definitely yours! Love the coat! Orange is so warm and cheery at this time of year, making me smile C.
Ps I have orange velvet sofa btw! Orange looks great on you. 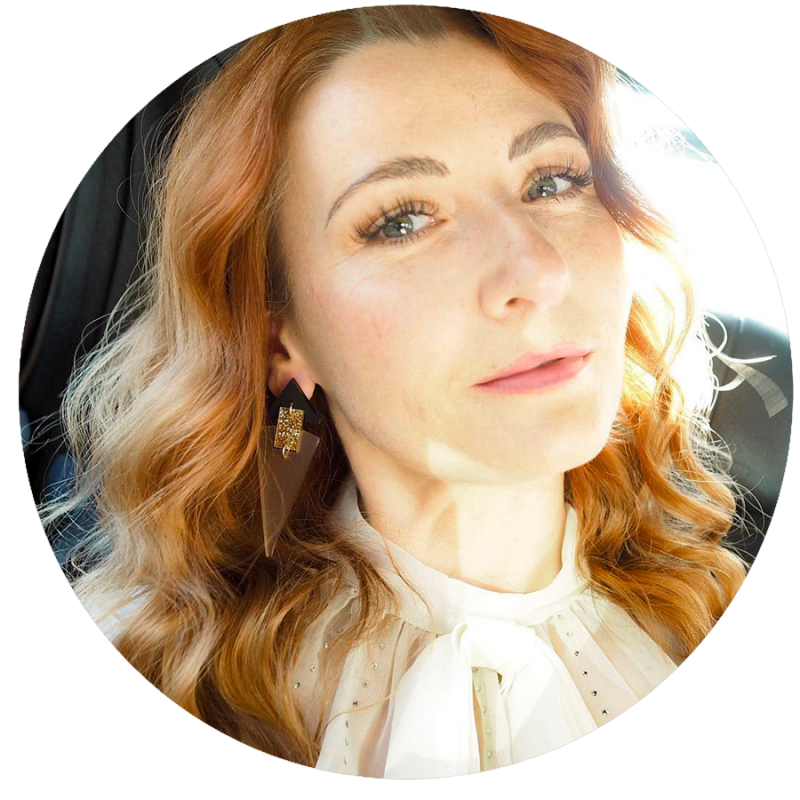 My go to colour (well there are 2) is RED – which makes me feel confident and Blue (any shade) which I feel good in any day or time. Ahhh The Sequinist’s favourite colours are red and (pale) blue, Jill! I think I’d go with orange and yellow if I had to go with two together…! I see why, orange looks beautiful on you. You’ve put together such a fun look. Nothing wrong with bringing in color to everything around us, I always say!! Dare I say that your orange/pink coat has become a neutral?! Love that! 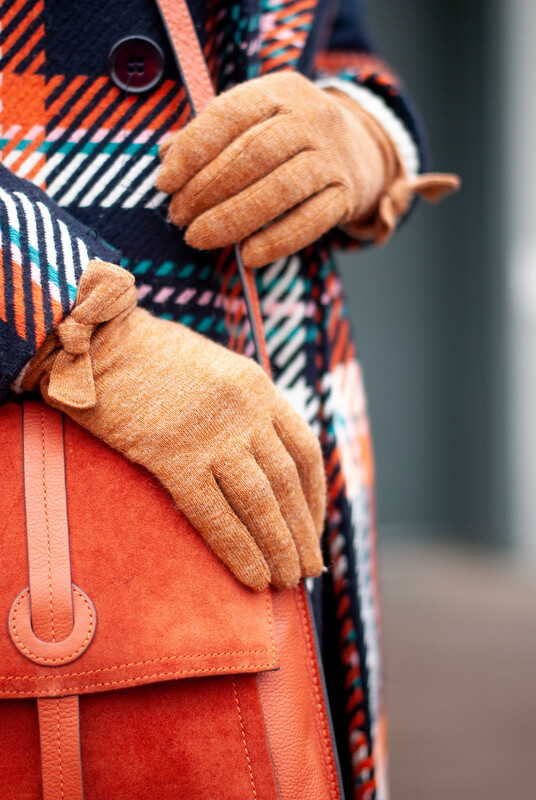 Orange is the perfect colour for winter, well, any colour is a welcome sight. 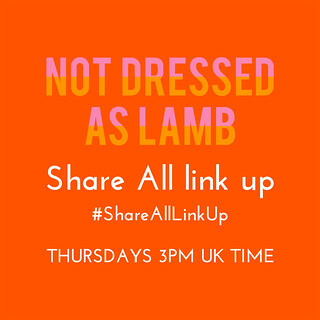 Thanks for the linkup. Everything goes together so perfectly. 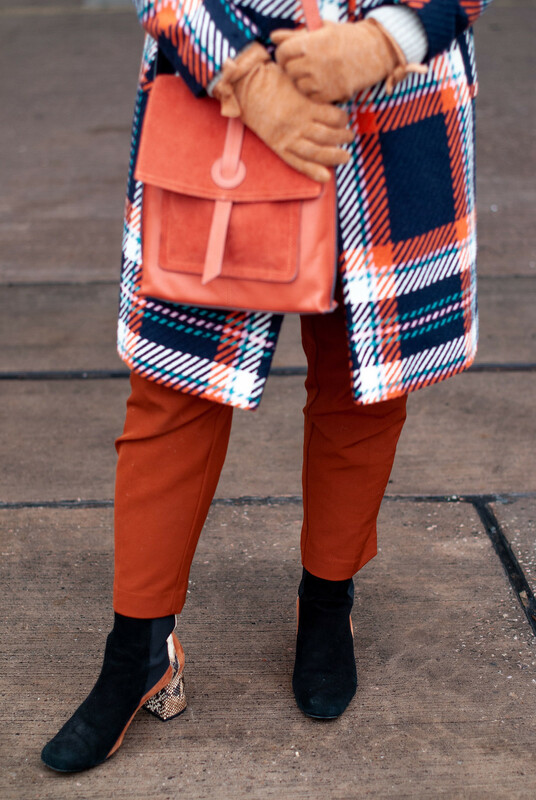 I just love the bag and the coat. Actually, I love it all! I have to say that you wear Orange a hole lot better then I do! Thanks Nancy – I know it frightens a lot of people…! Orange is a color that I like better on other people—I think it looks fantastic on you! Speaking of interiors, are you going to show us your new home? To answer your question, I have a lot of blue in my home, and I should wear more of it—it’s my favorite color! Thank you Jacqui!! You’ve reminded me about a meet up – I’m going to put it on my To Do in 2019 list. 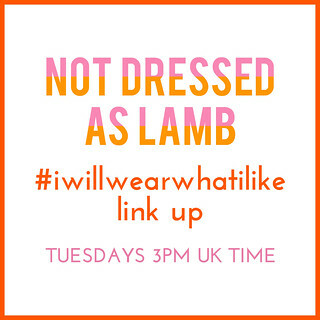 It won’t be a blogging event as such but really a meet up, a long lunch or something with maybe something after like a walking photo shoot I thought…? Any ideas welcome! !